Planning to celebrate your big day with full energy, you need to choose everything carefully that can reflect your personalities and if you have a chirpy and lively personality, you are allowed to choose glitters for your wedding. To match this wedding theme and many others, we at 123WeddingCards offer a vast collection of mind-blowing glitter wedding invitations. Our superb glitter wedding invites are full of glitz and glamour to add a little sparkle and shine to your big day. The jaw-dropping charm of our glitter wedding invites will wow your wedding guests and set a right tone for your wedding. With glitter wedding announcement cards or save-the-date cards, we allow you to announce your wedding in style and glamour. Yes, we not just offer glitter theme wedding invitations for your wedding, we offer the whole wedding invitation to suite your themed wedding. These charming yet elegant glitter wedding invites are not just perfect for glitter themed weddings; they are perfect for rustic chic wedding theme, grandest ballroom theme wedding and many more wedding themes. 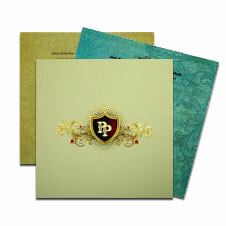 So, wait no more, shop our glitter theme wedding cards to make your wedding more dazzling. 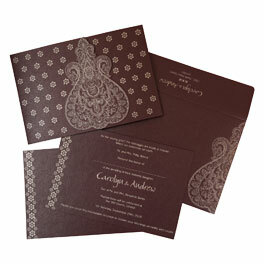 Along with these stunning glitter wedding invites and wedding stationery, we offer various other themed wedding invitations like peacock wedding invitations for all your wedding stationery needs. We also offer you a tool of customization that allows you to choose your own color, design, pattern, papers, word and many other detailing.